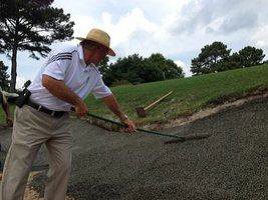 Capillary Concrete® may well be the affordable answer to problematic bunker-lining. This may seem too good to be true, but Capillary Concrete® is backed by sound research, physics and engineering principles. 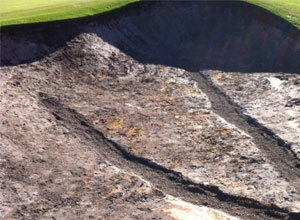 As any course superintendent knows, bunkers are an issue for a number of reasons. 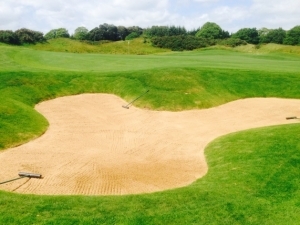 Bunkers are one of the most labour-intensive parts of any golf course maintenance and, during times of heavy rain, when the fines and silt from wash downs clog up the drainage systems, bunkers often end up looking like muddy bogs. Then there’s the labour costs required for raking and edge trimming and keeping the sand weed free. 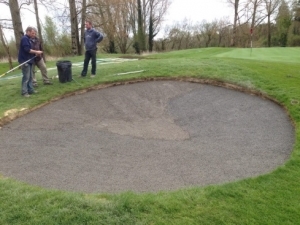 When all this is added together – maintaining bunkers can prove to be the most expensive aspect of golf course maintenance. Common linings work but for how long? It is estimated that within a 5 year period most traditional linings degrade or tear. Polymers and fabrics have been tried and tested but even they fail over time. 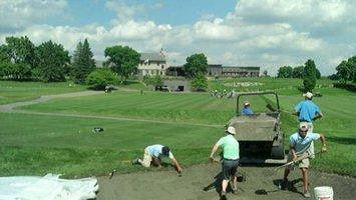 The cost of replacing bunker liners is a huge outlay for any golf course and that is why golf course superintendents are always on the lookout for a bunker liner with a prolonged lifespan at an affordable rate. 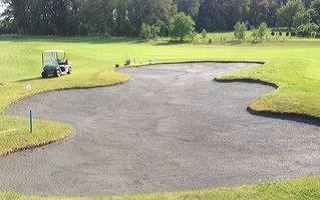 Capillary Concrete® is the answer! 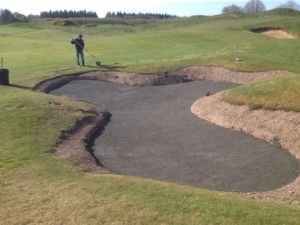 And to add to this, it comes delivered at a more affordable rate than most other bunker linings. CropCare offers two options of installation of Capillary Concrete®, 25kg bags of the patented Admix that is mixed onsite with approved 10mm aggregate for in-house construction. Or our fully trained contractor can quote to do a complete job. For more information, click to download the capillary concrete® bunker liner brochure or visit the Capillary Concrete® website.